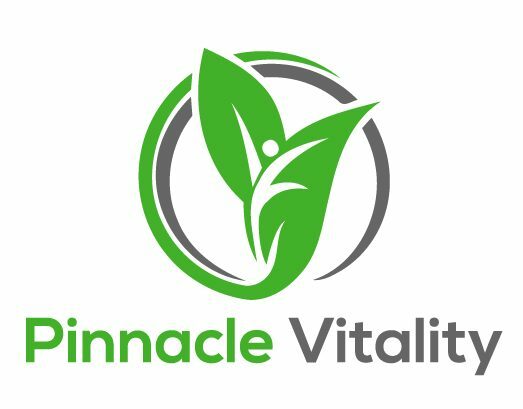 As I have been making plans to launch Pinnacle Vitality into the world, there is so much I want to share! It makes writing this first blog post a bit daunting. Where to even begin? My head is swimming with ideas, information, and stories that I’m eager to share with you, in hopes that I can help you live a more vibrant, healthy life. 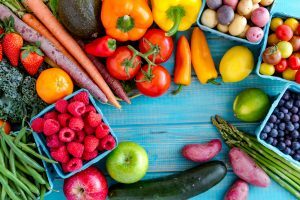 Over the past several years, it has become crystal clear to me that what we choose to eat has a profound effect on our health. People are suffering from obesity, heart disease, diabetes, and digestive issues as a result of a diet that has become increasingly processed. It’s so easy to go through the day eating food that’s not nourishing and supporting your body. You start the day with a coffee and a muffin at the drive-thru, pop a Lean Cuisine meal into the microwave for a quick lunch, hit the vending machine for an afternoon snack, and then order Chinese take-out for dinner. Maybe this doesn’t represent your typical day of eating, but I know it’s normal for too many people. We have access to so much food, all of the time – coffee shops on every other corner, restaurant delivery services, the goodies in the office break room. We are surrounded by so much unhealthy food that it takes a concerted effort to avoid it. It’s no wonder that over one-third of adults in the United States are obese! A diet based on whole plant foods, close to their natural state, is the best way to achieve health and vitality. This is easy in concept, right? Eat vegetables, fruits, whole grains, and legumes. Add in a little fat from natural sources like flax, nuts, and avocado. Although I can teach someone the basics of this way of eating in five minutes flat, the execution can be a bit trickier as you navigate this new way of eating in a world filled with unhealthy, tempting foods. That’s where I come in. I’ll take your hand and walk you through the process as I teach you how to structure your meals and enjoy a wide variety of delicious and satisfying food. I’ll be there to hold you accountable to your goals, coach you through the tough moments, and celebrate your victories. You don’t have to do it alone! It’s my mission to help as many people as possible adopt this way of eating and reap its many benefits. Please believe me when I tell you that you have more control over your health than you realize. I’ve seen this way of eating help so many people who were on the verge of giving up hope that they would ever be able to lose weight and improve their health. If you’re thinking about trying a whole food, plant-based diet, I urge you to simply commit to it for 30 days. If you feel overwhelmed at the idea of getting started, I’m here to help! It’s time to take control of your health, one meal at a time.